Last month, it was reported that Google cofounder Sergey Brin was secretly building an airship in a hanger on NASA’s Moffett Field. Now, the Guardian reports additional details of Brin’s project, including what he’s planning to use the airship for. Ever since the Hindenburg tragedy ended the golden age of airships, inventors have struggled to bring them back. The main problem is lift. With hydrogen ruled out as a buoyant material for obvious reasons, the next best option is helium, which is more expensive and less effective. This means airships are no longer a cost-effective way to do air travel. 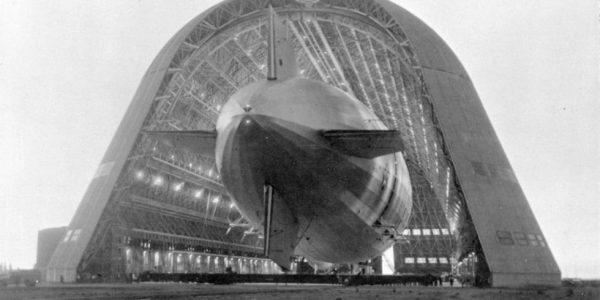 For nearly a century, nobody has found a way to make airships or zeppelins an effective means of transportation. But Sergey Brin may just find a way to do it. Brin’s airship supposedly uses a revolutionary design containing air sacs that can breathe, letting air in or out to control buoyancy. If the airship can regulate its own buoyancy, it can take on or offload cargo anywhere in the world without needing any kind of ground support. This opens up new methods of cargo delivery, especially in remote places without access to infrastructure. Brin sees his airship playing a role in humanitarian missions, bringing food and supplies to remote areas hard-hit by disasters or epidemics. The airship could also be used for regular cargo deliveries to these regions. And when the airship isn’t being used to save lives, Brin will use it as a private cruise liner, taking trips to places that are typically inaccessible. The total cost of such luxury? Around $100-150 million.